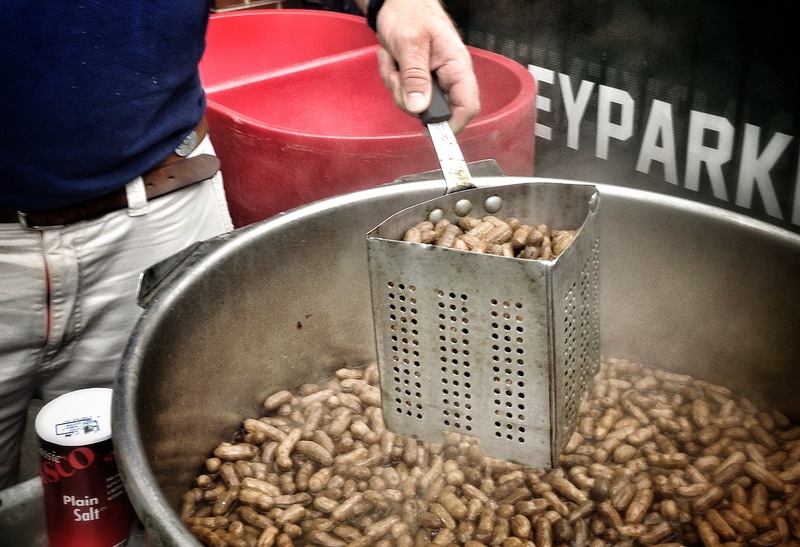 What is a Southern Boiled peanut you ask? A boiled Peanut is a unique salty snack that is popular in the American South. 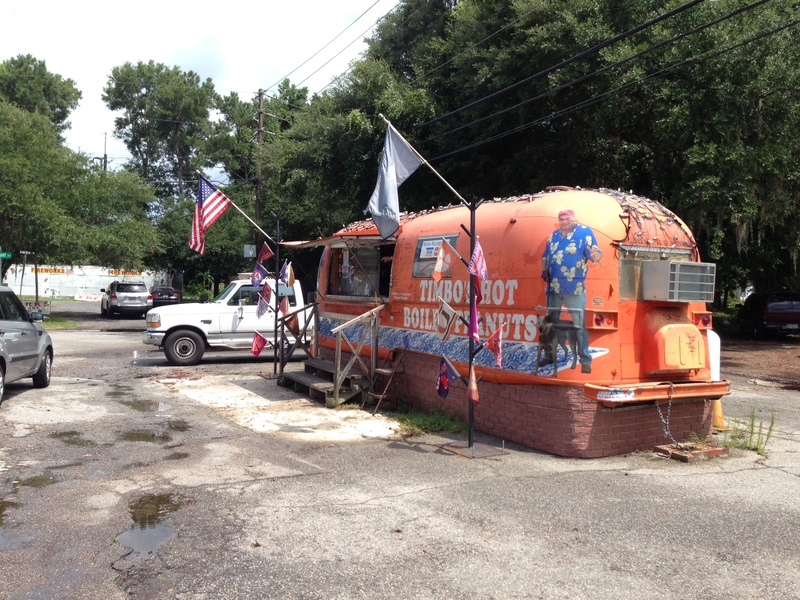 It’s often cooked on propane gas in a large pot outdoors and is a natural partner for all sorts off BBQ. In the weekly web show GrateTV we give the basic peanut recipe of salt water and peanuts a closer look. Make the water “as salty as the sea,” suggests Carolina Pitmaster Jack Waiboer. We also discover the common use of dry unsalted raw peanuts as well as raw green peanuts. 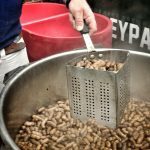 Spanish peanuts may be your preference over Virginia Peanuts. The other day we were cleaning our gear here at home after a weekend camping trip and I spent a lot of time scrubbing the outside of a fire-blackened pot we had used to heat chili over the campfire. I could have saved myself a lot of elbow grease if I had bothered to soap the outside of the pot. 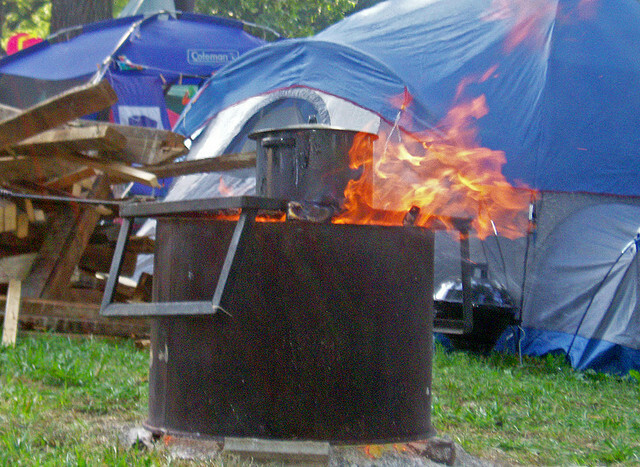 Using soap to create an easy-to-clean coating on the outside of your cooking pots one tip that really works when it comes to cleaning up after campfire cooking. It’s an old trick that used to be mentioned in the Boy Scout Handbook but that many campers seem to have forgotten – or maybe they were never Boy Scouts. It’s as simple as soaping the outside of your pots and pans to make cleanup easy. Put a little liquid dish soap on a paper towel and spread the soap around the outside of the pot you are using for campfire cooking. An even film on the outside of the pot works best. Bar soap also does the trick but is harder to spread evenly. I have even seen this done with shampoo. When it comes time to do the dishes, that black soot on the outside of the pot will come off much more easily so that you aren’t left scrubbing at a sooty mess. Just make sure you don’t get too crazy with the soap and get any on the inside of your campfire cooking pot because soap doesn’t do much to improve the flavor of most dishes! Ian Fitzell is the editor of Camping Sky, a blog dedicated to upscale family camping. 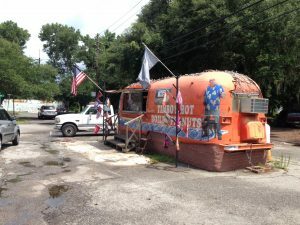 Visit [http://campingsky.net]. If you’re planning a tailgate party you may be looking for some fun tailgate recipes to fill up hungry guests. GrateTV tackled football party food recently and came up with two Tailgate Treats worth trying. 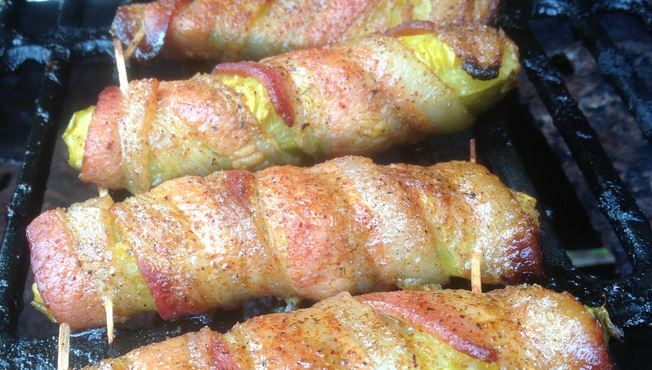 They call tailgate recipes Bacon Wrapped Spears and Rods. It’s affordable too. A pickle recipe and a pretzel recipe. 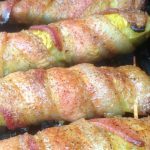 Start with a sweetened and spicy bacon wrap that we call Pig Candy and simply wrap the bacon around zesty pickle spears and pretzel rods. Fire them up on the grill and you’re good to go. Watch the pickle recipe in action below or HERE on YouTube or get the full step by step at the GrateTV Tailgate Recipe page.